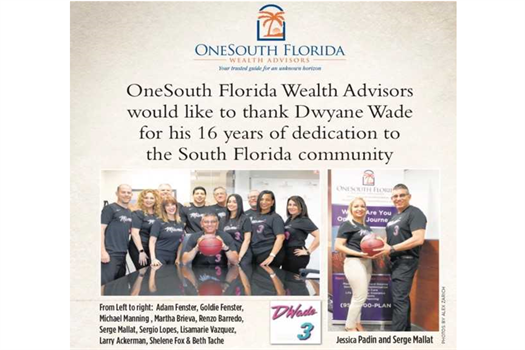 OneSouth Florida Wealth Advisors (OSFWA) proudly announces the opening of their Sports and Entertainment Division on February 28, 2019. The office staff and affiliates enjoyed the company of many clients and guests including Brazilian Music Composer Michael Sullivan and his wife Analyle Sullivan who is ranked in the top 10 Evangelical singers in Brazil along with NFL’s Alumni - Bennie Blades (Detroit Lions), Twan Russell (Miami, Dolphins) and Kerry Glenn (Miami, Dolphins and New York, Jets). The experience began by walking into the building by gorgeous Ferraris compliments for Ferrari of Fort Lauderdale, once upstairs the evenings musical atmosphere was created by local superstar Jon Saxx and culinary delights by Jamaican’s treasure Chef Irie Spice. Serge Mallat, President of OneSouth Florida Wealth Advisors, thanked everyone for attending, expanded on the core vision of the firm with emphasis on dedication to the youth through projects and foundations. Serge was proud to announce an addition to the sports and entertainment division by sponsoring Ernie Francis Jr. of Breathless Racing and invites everyone to review the website - www.onesouthfloridawa.com and contact the office at 954-445-8222 with any questions you have on the division or personal financial needs. As advisors to professional athletes and entertainers, we understand the unique challenges they may face throughout their career. More importantly, we realize the vulnerability most athletes and entertainers are exposed to and help focus our clientele on avoiding unnecessary financial mistakes. Our OSFWA team always has you in mind and they are available to help guide and advise you on what you can do to accomplish your financial goals. *Registered Representative and Investment Advisor Representative of and securities offered through OneAmerica Securities, Inc., a Registered Investment Advisor, Member FINRA, SIPC. 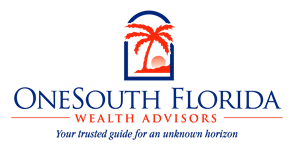 OneSouth Florida Wealth Advisors is not an affiliate of OneAmerica Securities and is not a broker dealer or Registered Investment Advisor. Provided content is for overview and informational purposes only and is not intended and should not be relied upon as individualized tax, legal, fiduciary, or investment advice. ExpoZur Sports Management Group is not an affiliate of OneAmerica Securities and is not a OneAmerica company.